All Performance Motion Devices products come with our leading-edge software tools designed to simplify and streamline your development work. Continuously updated with the latest motion control techniques, analysis, and algorithms, our robust software supports all of the latest PMD technology features. Our easy-to-use Windows-based exerciser and data capture program offers ready-to-go capabilities your entire development team will be able to share. 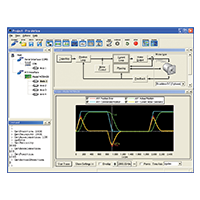 A step-by-step axis wizard allows designers to quickly and easily tune position loop, current loop, and field-oriented control motor parameters. 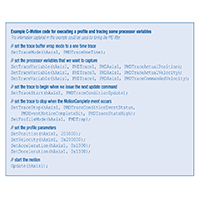 C-Motion® is a “C” source library containing a convenient set of callable routines and providing all the code required for communicating to PMD motion processors, boards, and digital drives. If the communication interface you need doesn’t exist, you can use C-Motion to create a custom communication interface. This robust, high-performance development tool includes axis virtualization and the ability to communicate to multiple processors. 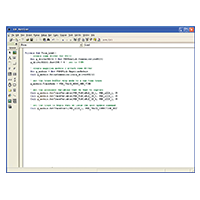 VB-Motion is the interface from Microsoft Visual Basic .NET to the PMD C-Motion library for control of Magellan Motion Processors. It can be easily integrated with any Visual Basic or C# application. The library supports communication to the Magellan Developer’s Kit board and Magellan Motion Controller via serial (RS232/RS485) and CAN (IXXAT), and where applicable PCI interfaces. With its powerful Visual Basic object-oriented interface to the Magellan API, VB-Motion allows you to focus on writing high-level code to control your motion system. It can be easily integrated with any Visual Studio application. We provide sample code to help accelerate your work.